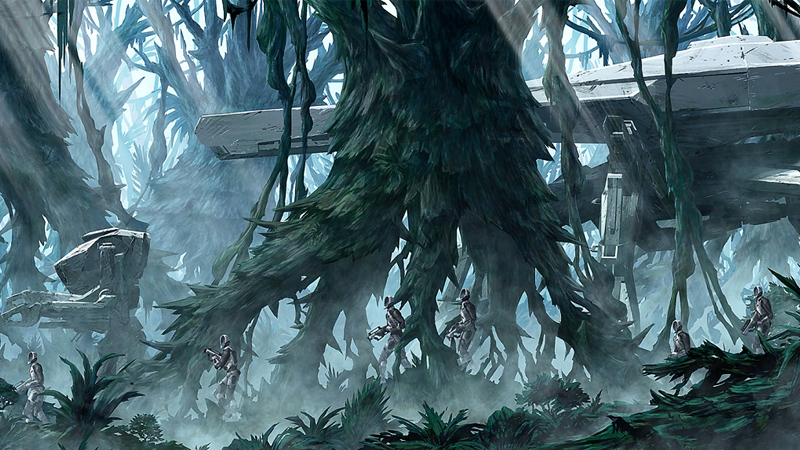 Image: Concept Art via Toho. It’s hard to believe that the undisputed King of Kaiju has yet to actually get his own animated movie in Japan. That’s changing at last with the arrival of Polygon Pictures’ Godzilla film later this year, but there’s more good news: it’ll be easy to see outside of Japan when it airs, too. Polygon and Toho have announced they’ll be teaming up with Netflix to bring Gen Urobuchi, Kobun Shizuno, and Hiroyuki Seshita’s animated take on Godzilla worldwide upon its release later this year. It will mark the first official appearance of Godzilla in an animated feature in Japan, outside of a brief tie-in appearance in Crayon Shin Chan last year to promote Shin Godzilla. It’s not the first time Godzilla’s appeared in animation full stop, however—there’s been two different animated TV shows for big G in the West, including one inspired by the 1998 reboot movie. We’ve still not seen much of the movie outside of a few pieces of art, like the one above, which gives us a very scifi-looking setting for the film. And we’ve not even seen its take on Godzilla himself yet. But at least we know we’ll be able to see it outside of Japan when it hits later this year.